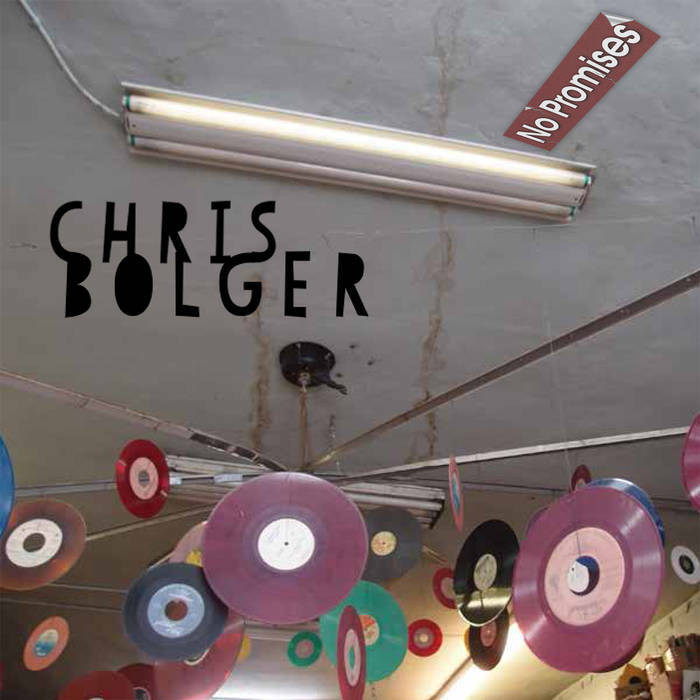 ALBUM REVIEW: Chris Bolger, "No Promises"
Chris Bolger is another of those amazing musicians whose name you’ve heard but can’t understand why he’s not in the stratosphere of stardom. Well, no worries – his newest album, No Promises is filled with prime cuts of meaty power pop – of the glorious riff-laden, Rickenbacker twang and rich harmonies – and you will have your appetite filled nicely with this sonic blast of damned fine rock and roll. To sweeten the pot, amongst the players who grace this fine release include (once again) super-drummer Dennis Diken, bass master Graham Maby and the everywhere guitar hero, James Mastro. Opening with the ridiculously catchy and instantly classic “Easier”, my first thoughts were that it was a great, lost Van Duren track (on the order of the Are You Serious? period); that familiar, delicious sound of a Rickenbacker carries this track along with the singalong harmonies; “Souls Turn Blue” feels like one of those great AM radio-friendly singles from around 1971 (!) and the title track, “No Promises” is a tender and melancholic acoustic piece, driven by a mournful mandolin with stunning harmonies. “Atlantic City Expressway” is pure power-pop with 12-string electric chiming through and a fine structure; “Everything” sounds like a tough Byrds and “She Might Look My Way” is simple perfection. It’s a been quite a year – this early on – for masterful albums by some very skilled veteran pop writers and Chris Bolger unquestionably fits very high on this list. No Promises actually promises one thing – quality and pop joy. And it delivers.